For future access save this link to your device. 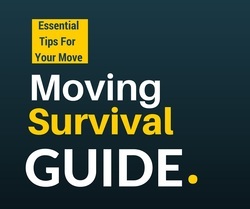 Moving Survival Guide. If you are feeling overwhelmed about your move, then this is a must read. This guide will save you hundreds of dollars whether you are moving yourself or hiring a professional. Learn how to avoid getting scammed by fake online movers; discover tips on how to avoid moving companies that aren't insured; learn how to avoid hidden fees with truck rental companies; and learn how to find local moving help load your rental truck. Take a few minutes, and you will be on the path getting the best value for your move. Load & Hold Service can work well for a few days or a few weeks. If you are moving into a new home but have to leave your current residence before the new place is available, then you need our Load and Hold Service. Once your new home is ready then we deliver your possessions to your new home. The Load & Hold Service helps you avoid the headaches and costs of your items being handled twice in a short period of time. Some moves qualify for our Free Load & Hold Promotion. Click here for more information. Haul Away & Staging Service. 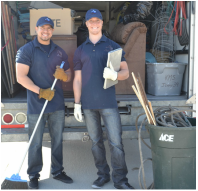 If you are ready to put your home on the market but you need to de-clutter, rearrange, and haul away debris, then our Haul Away & Staging Service is for you. Having a home that makes a great first impression will help it sell your home quicker and for a higher price. If you have things that need to be hauled to the land fill or donated to charity, we can help. If you have furniture in your home that needs to be rearranged or hauled to storage, we can help. Simply contact us today and schedule a time for our trained professionals to help you get your home ready to sell. Click here for more information. * This offer is subject to availability. Free Moving Kit. 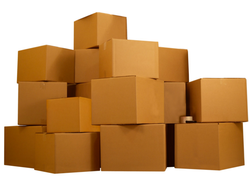 Receive Free Boxes if you plan to do your own packing and are a client of Kearney Moving. Our economy moving kit is for small moves and includes 5 small boxes; 5 medium boxes; 5 large boxes; 2 dishpacks; 1 picture pack; 2 wardrobe boxes; and 2 rolls of professional packing tape. 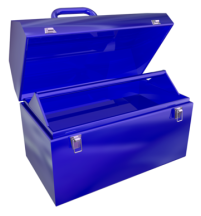 Our deluxe moving kit is for large moves and includes 10 small boxes; 10 medium boxes; 10 large boxes; 5 dish pack boxes; 3 mirror pack boxes; 4 wardrobe boxes; and 4 rolls of professional packing tape. To take advantage of this offer click here to print the Free Moving Kit Coupon. Moving Academy. If you need a little instruction on how to pack boxes and get organized for your move, then this resource is for you. One reason moving is so stressful is because you don't know where to start. Helpful topics include packing your kitchen, packing electronics, stretching your moving budget, moving pets, and more. With over 20 short videos and articles to choose from, you are sure to find plenty of information to help you do it like the pros. Click here to receive these Free Resources.